Today's Merci Marzipan dark chocolate was made in Germany by August Storck KG for Storck USA. 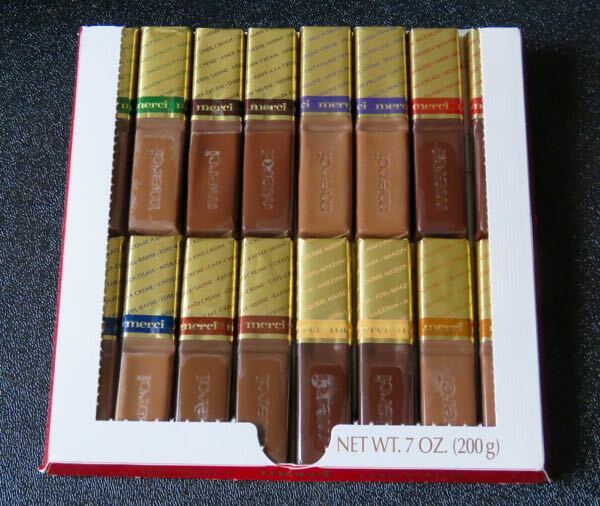 Generally speaking, there is a greater variety of fine almond marzipan chocolates in Europe. 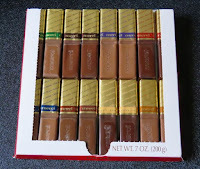 However, ordering chocolates from out of state (or country) in the summer, is challenging and expensive. Five minutes in the sun on a loading dock somewhere can ruin an entire shipment. If one is fortunate enough to travel, hand carrying chocolate items through airports is a convenient way to avert disaster. 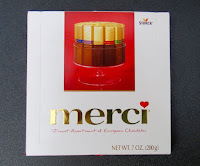 Sometimes a generous friend will share chocolates when they return from a trip overseas. Such was the case today. 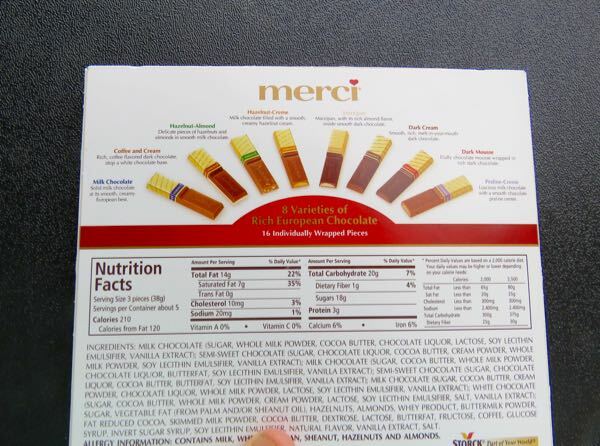 Thank you to Heather ("Yazz") for bringing back a Merci chocolate assortment pack, that included this small marzipan filled bar. For chocolate fans, we know many of you prefer plain dark chocolate bars. 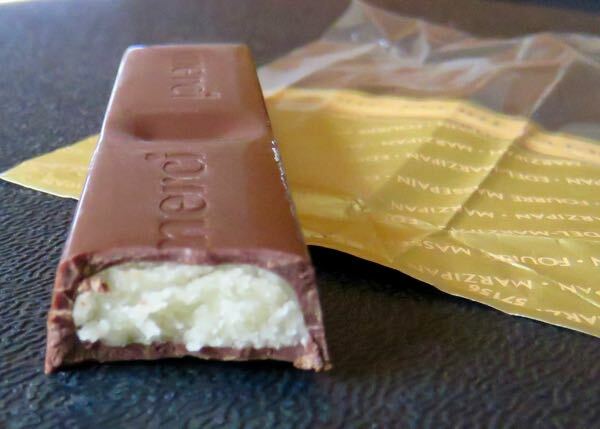 However, for marzipan lovers, good almond marzipan covered with dark chocolate somehow manages to be quite sweet, yet quite tasty as well, e.g., today's elegantly wrapped bar-shaped confection.